Almost the same time I discovered digi-scrapping, I also came upon an interesting concept referred to as Project 365 (P365). I saw an article by Becky Higgins in the Creating Keepsakes magazine that talked about the concept of taking a photo a day to document your life in one year. Apparently the concept wasn't new, but Becky's take on using it to document your family's life in that year was pretty revolutionary to me. She introduced a kit that was going on sale January 1. The kit was basically an album with special page protectors and journaling cards. Each 2-day spread allowed you to document a week. It was easy - a photo a day and brief journaling. No stickers or glue stick needed. I didn't have time to scrap and now that I was almost "current" (I had albums through 2007 so I had a year unscrapped) I didn't want to lose that. I took nearly a photo a day since Logan was born anyway. So I thought I would give it a try. Logan woke at the crack of dawn on New Year's Day, and somehow I thought to get online pretty early to try to buy one. Apparently half the scrapbooking world thought it was as great of an idea as I did. Because it was sold out within 5 minutes. I didn't get my kit. The concept stayed with me for the next week. Becky released the journaling cards digitally and I found some sites that showed how to use page protectors made for 12x12 albums and 4x6 pictures to customize one of your own. So I found some supplies and made my own kit. I LOVED doing my first project 365. I documented it digitally as well on this Shutterfly share site. I originally thought I'd keep the journaling current on the site and print it as I had time. But keeping up with the journaling online soon became cumbersome and I eventually did it only in my album. I did get a little crazy and decided to have monthly dividers with some cool templates by Listgirl. The thought was this would be a good way to use the photos that didn't make it to be the photo of the day. Although I love the results (and recommend the templates! ), I think I should have used this as an alternate solution for P365 in lieu of an addition! She set up the templates so they have the same number of photo blocks as days of the month. Template by Christine Newman of Listgirl Designs; Kit (papers and numbers) "Hankey Pankey" collab by Stacey Crossley and Teri's Thing-o-My-Jigs. This year Becky Higgins released her kit on her own as "Project Life" and this time, she was prepared for the volume (although she is temporarily out of stock at the moment). You can buy the kit here. I got mine for 2010 and absolutely love it! She also has a digital version available here. Something about doing this year's in a paper form (instead of adding digital overlays to photos and digitizing the journaling like I did last year) has simplified the process for me. I've gone a little beyond the kit and added a normal 8-1/2x11 page protector in each week to fill with random things Logan brings home from school - daily logs, snack calendars, artwork, incident reports, etc. I like that I now have a place for some of that. By the way, there is a wealth of information out on the internet regarding Project 365. 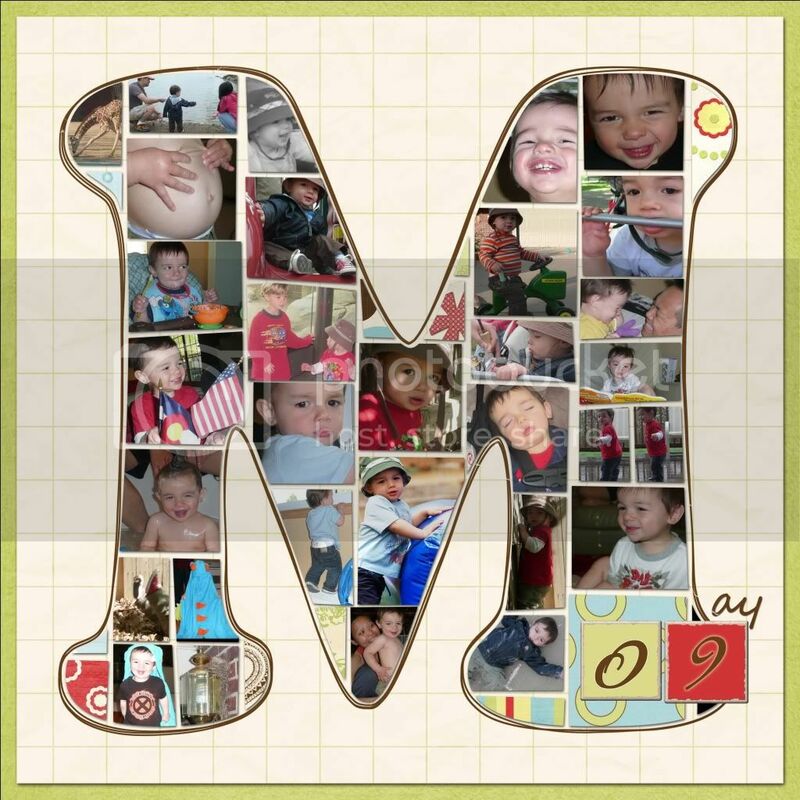 You can find photo ideas, samples of others projects, kits and more. Audrey Neal did a little roundup here. And Paislee Press has done a great feature on turning P365 photos into albums here. My album is more focused on our day to day life. However, many use this opportunity to expand or enrich their photography, or just improve skills and practice fun things with their camera. Check out my friend Kate's virtual album here. She took a different approach to the same project with gorgeous results.